There appears to be an issue with recent versions of Adobe Premiere Pro that can result in blown out MacBook Pro speakers. 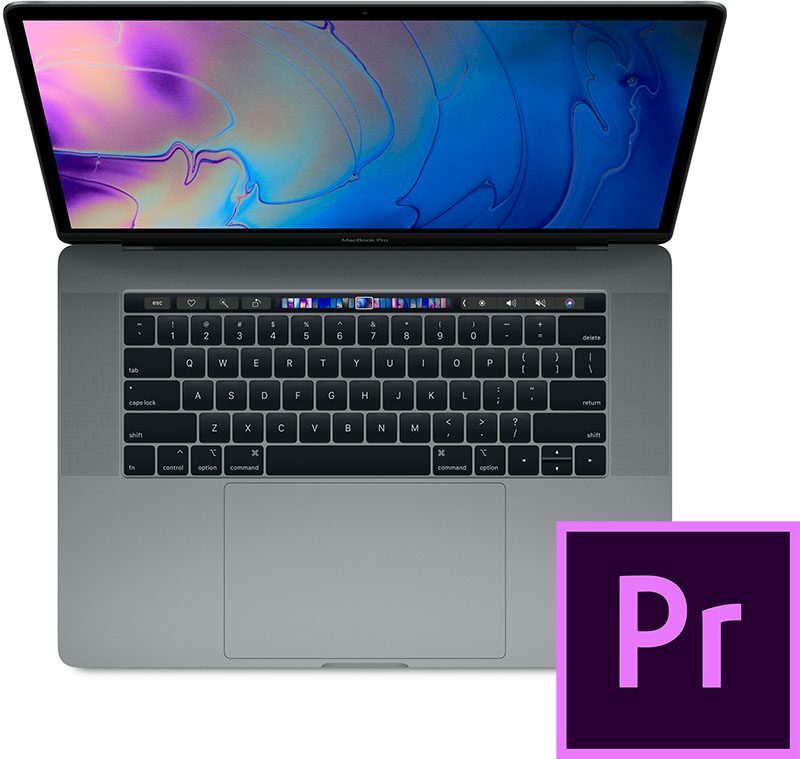 MacRumors reader Alvin Shen alerted us to multiple users on the Adobe support forums who report that Premiere Pro suddenly caused loud, distorted audio to play through their MacBook Pro speakers, resulting in permanent damage. In many cases, the issue arose when users were editing the audio settings of video clips. "I was using the Adobe Premiere 2019 Audio suite for background sound and while tweaking the settings it made a loud distorted noise that hurt even my ears," wrote one user. "After that my speakers are unusable." The discussion topic was posted in November, and there are replies from affected users through January, suggesting that the apparent bug is present in both versions 12.0.1 and 12.0.2 of Premiere Pro CC for Mac. It's unclear when the issue began, how many users are affected, or what the exact cause is. 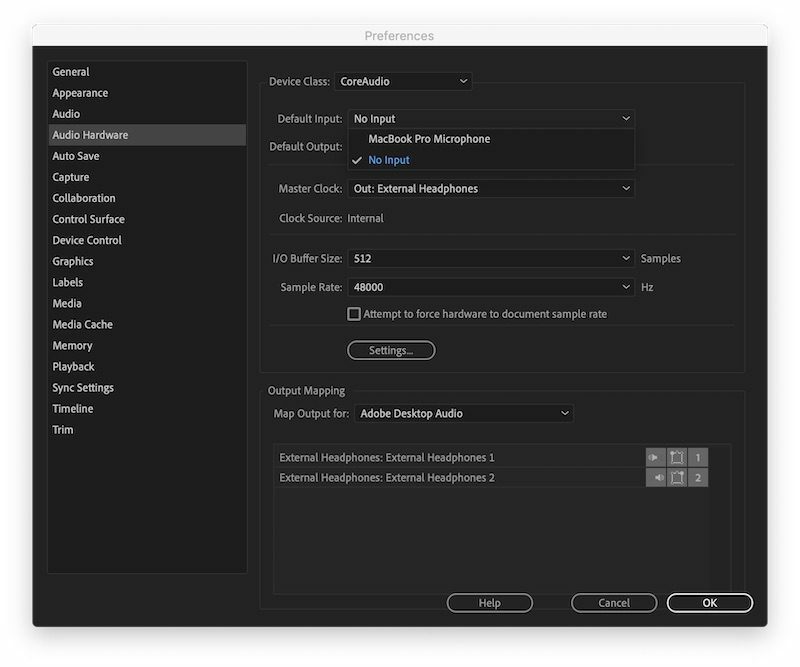 It appears Adobe advised at least one customer to try disabling the MacBook Pro's microphone in Premiere Pro by selecting No Input under Preferences > Audio Hardware > Default Input, but the issue persists for some users. Our tipster Shen took his MacBook Pro to the Genius Bar at an Apple Store in Canada and was provided with an over $600 repair quote for his 2018 15-inch MacBook Pro. The price is so high because Apple replaces the entire top case assembly containing the speakers, keyboard, trackpad, and battery. It's unclear if Adobe, Apple, or both companies are at fault. We've reached out to both Adobe and Apple for comment. "The price is so high because Apple replaces the entire top case assembly containing the speakers, keyboard, trackpad, and battery." So...poor design? That is literally offensive that it would cost that much to fix any laptop's speakers. Remember when Apple was producing reliable laptops? This sounds like it's primarily Apple's problem. Maybe Adobe could release a fix that would avoid triggering the issue, but the issue shouldn't exist to trigger in the first place. No software on a computer should have the ability to physically destroy the speakers, by accident or on purpose. If this is happening under the right circumstances with Adobe Premiere Pro, it can probably happen with other software that triggers the same conditions. The price is so high because Apple replaces the entire top case assembly containing the speakers, keyboard, trackpad, and battery. Adobe's software quality is absolutely terrible these days. They seem to be using their new subscription model as permission to push out half-baked and buggy software updates, because they can more readily "fix" them later. Adobe Illustrator CC has well-documented issues with GPU previews on machines with Intel integrated graphics. I personally contacted Adobe about this, and they blamed Apple, but I have seen exactly the same rendering issues on Windows laptops running Intel video chipsets. Get it right, Adobe. We're professionals, not hobbyists. This being MacRumors, of course Apple is at fault. Of course... because it doesn't make sense that an app should be able to cause hardware damage. Everyone is a comedian here. Comedians find laughter in tragedy, which is why there are so many Apple jokes. This is a new low for Apple. Speakers that destroys themselves and then a 600$ quote for a repair. Bad design and bad customer support, simply put. I hope Apple changes. Seems like it's apple's fault. Nothing you do in software should be able to destroy the hardware. Yeah, $20B in profit in 90 days was quite tragic. Yaas, we all know how wonderfully great Apple's profits are - you keep letting us know in every one of your second posts. That is not what we are talking about here, are we?